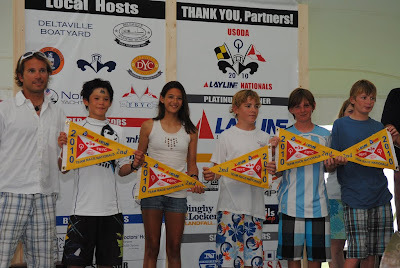 Congrats to LISOT Blue for taking 2nd place in the Gold Division at the 2010 USODA Team Race Nationals. Pictured above, left to right, Coach Pepe, Ty Ingram, Alexandra DelBello, Drew Gallagher, Harry Koeppel and Reinier Eenkema van Dijk. 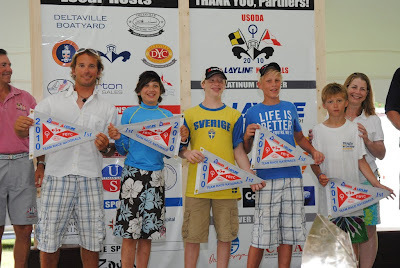 And LISOT Red who won the Silver Division (l to r. Coach Pepe, Henry Fernberger, Travis Bobley, Florian Eenkema van Dijk, Matt Logue (with USODA President, Robin Kuebel) and Russell Clarida (not pictured).